Reminisce On That Time In The Early '90s When F-16s Escorted MiG-29s Across The U.S.
We have lamented on the lost opportunity following the crumbling of the Soviet Union, and reminisced about what could have been. 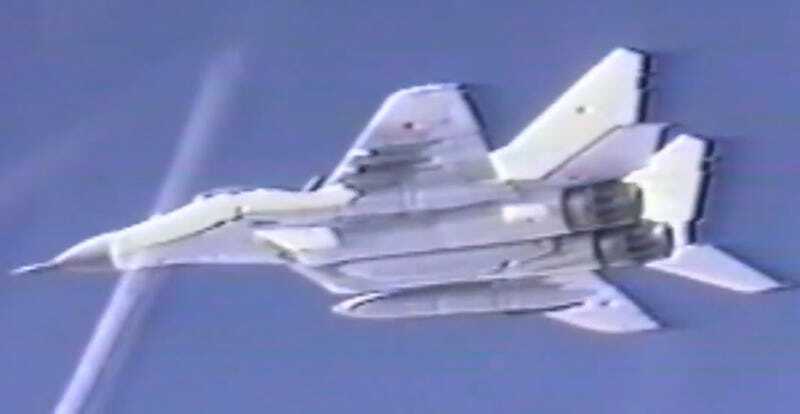 This video, showing the Atlantic City based F-16s escorting MiG-29s across the U.S. during the early 1990s is another reminder of just how far U.S.-Russian relations have fallen in recent years. This was one of a handful of goodwill tours made by Russian aircraft during the early 1990s. These included Su-27s, MiG-29s and Tu-95s, along with transport aircraft. These aircraft visited large air shows throughout the U.S. and the missions were a symbol of a whole new geopolitical reality following the end of the bitter Cold War. Now, instead of flying at one another’s air shows, Russian and U.S. aircraft are opposed to each other once again. B-52 bombers are being forward deployed to Spain as a show of force against potential aggression and Russia’s most advanced air-to-air fighters have been deployed to Syria to take part in a conflict where Russia’s stated enemies have no aircraft at all. Instead, Turkish fighters jets—one of which shot down a Russian attack aircraft last November—along with U.S. and other coalition aircraft, appear to be these advanced fighter jets’ focus. Russia has even come out and stated that we have entered into a new Cold War, a sad albeit most likely accurate summation of how bitter the Russian-U.S.-NATO relationship has become.